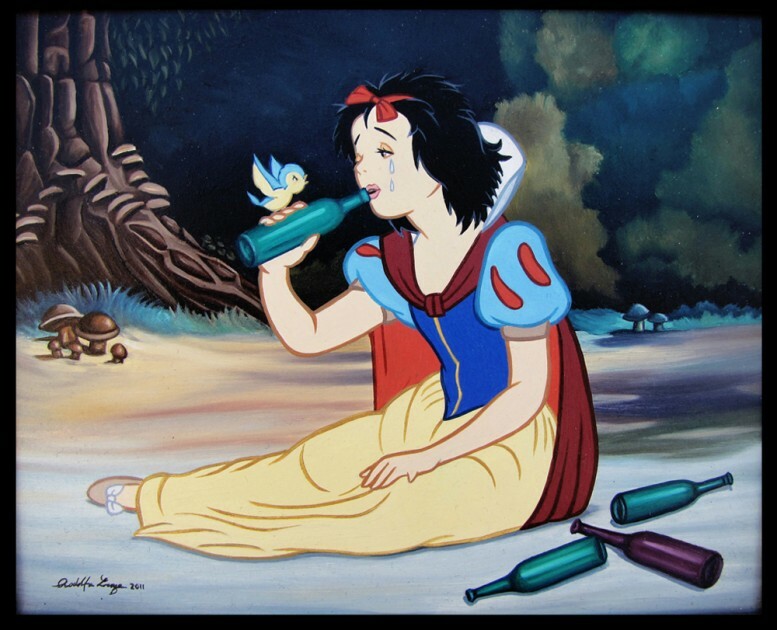 Disasterland is Mexican artist Rodolfo Loaiza's tribute to pop culture, fashion, animation, horror films and the undeniable attraction of celebrity. The stage is set for fantasy to collapse and surrender to the inevitable apocalypse of 21st century Hollywood. Fairytale characters continue to dominate his latest project –this time caught in the headlines of our favorite tabloid stars. Continuing his penchant for cleverly depicting the "uncouth" customs of our dichotomous society, Rodolfo explores what would happen to our fables if they were flesh and blood and confronted with the frenetic and excessive world of fame. Who among them would prove susceptible to the excesses of drugs, alcohol, harassment or vanity? On view through September 2 at La Luz de Jesus Gallery, 4633 Hollywood Blvd, CA.